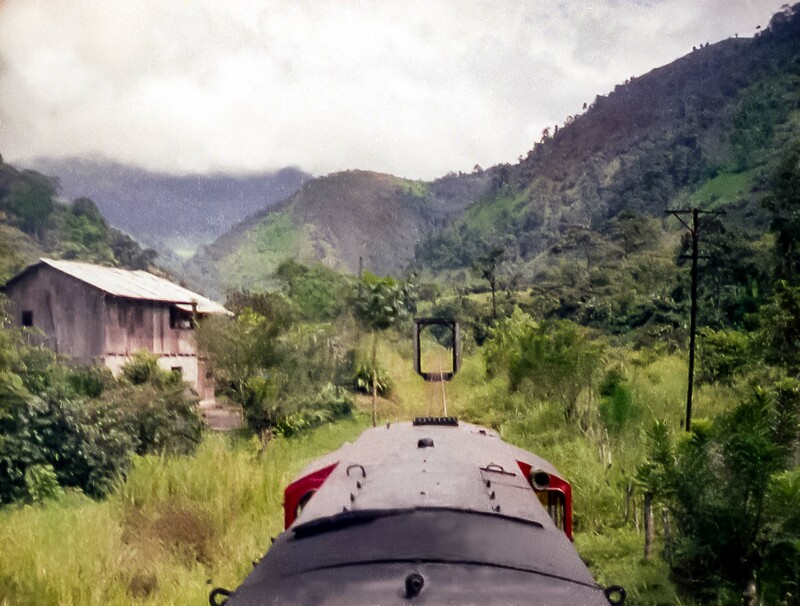 Ecuador, Atop The Steam Train, 1979 - In 1979 I had the pleasure of riding on the top of the steam train from Guayaquil to Riobamba in Ecuador. This train is unusual, as there is a place where it climbs a cliff with the use of switchbacks. Here, is a view from the top of the train as we head up a verdant valley.